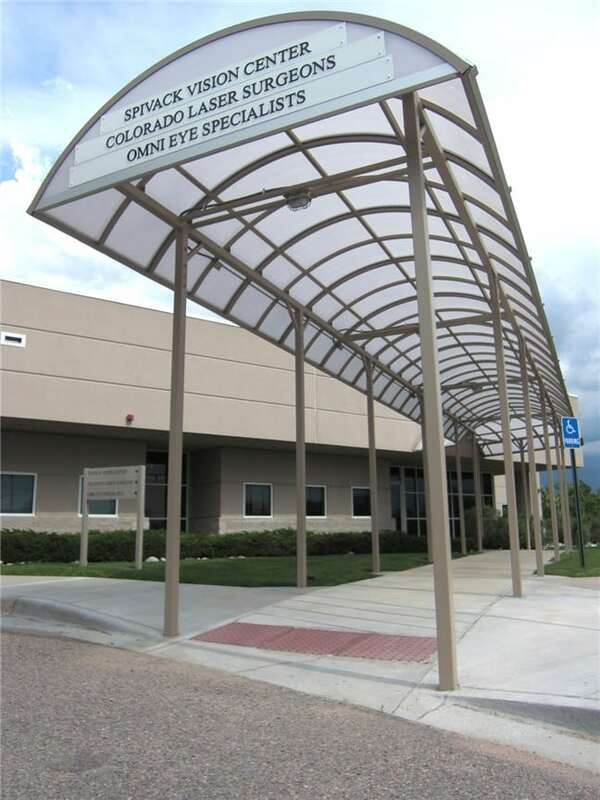 This project is a prefabricated metal entrance canopy for a laser eye surgery center. 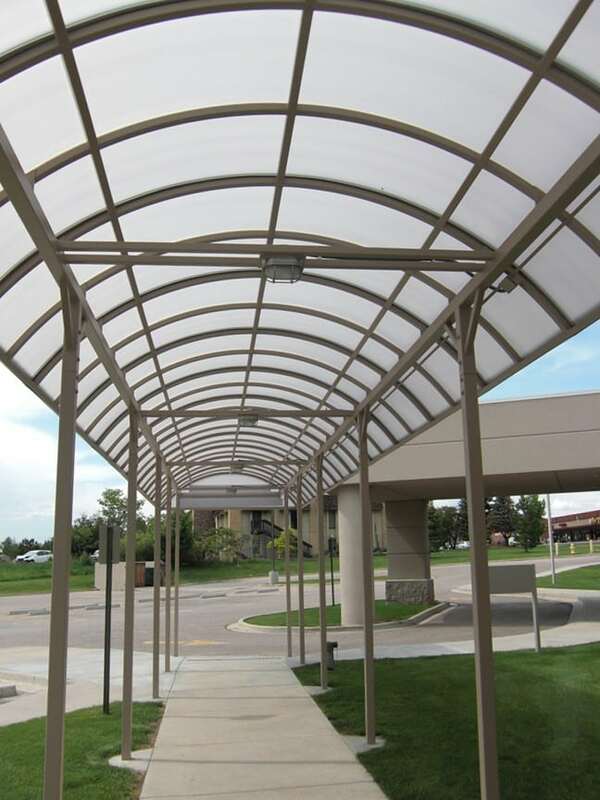 Translucent barrel roof panels provide natural daylight and curb appeal to this free standing walkway. The owner wanted a way to incorporate a secondary entrance to their building. It was quite a walk from their patient drop off location and parking lot area. They wanted to provide cover for patients during inclement weather, as well as extend building identity signage to the curb, so the front door location is obvious. 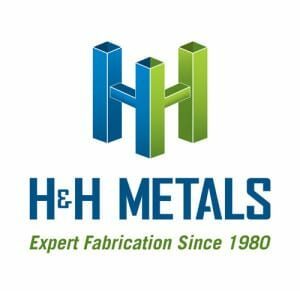 Enter a prefabricated metal entrance canopy from H&H Metals as the solution. The entire structure, fabricated at our shop, had powder coat paint, and even wires for electric lighting prior to setting in place. The elaborate maze of curved steel tubing and panels, makes for a stunning effect that is appealing to ponder. Quite a feat to make all the proper cuts into curved tubing and weld them together. Three main sections make up the roof structure for this canopy, but you cannot tell this from what is in place. The sections look as if they are all one piece. H&H came up with an ingenious design to build the canopy on the floor. This enables easy access for personnel to fabricate the structure at a good working height, but also allows for transportation via normal truck and trailer. The columns are designed to bolt onto the roof structure at the time of installation. H&H set this elaborate canopy structure in just one day. Very little impact was imposed on the occupied medical office building. 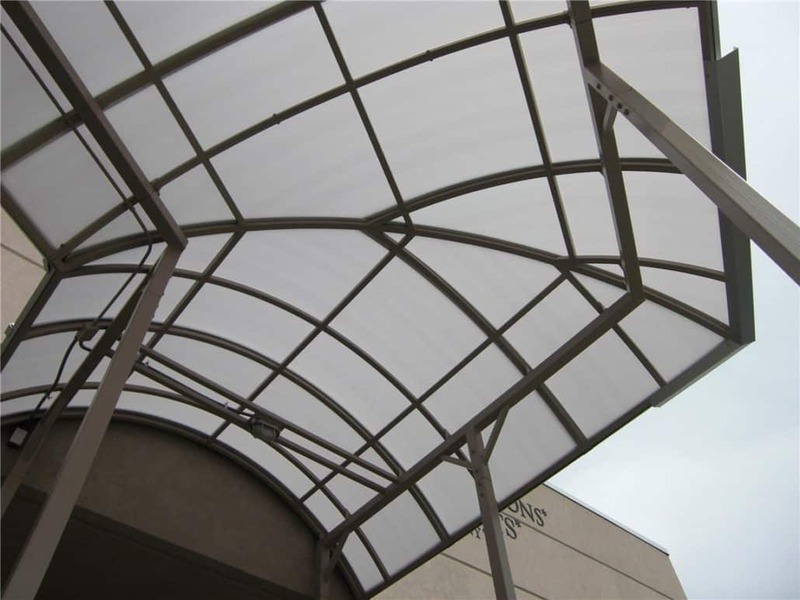 The best part is that this canopy is completely independent of the building, so there was no impact on the existing structure. One happy client, and surely many happy customers. Especially on those very rainy and snowy Colorado days.